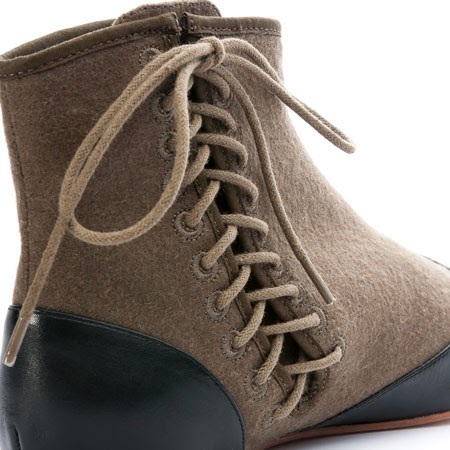 Today I'm happy to open the pre-order for "Gettysburg" Victorian Side-Lace Boots. 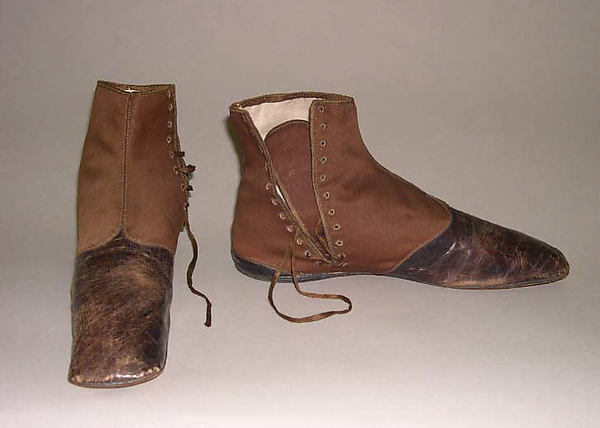 Gettysburg boots are typical of footwear found between 1830 and 1860. 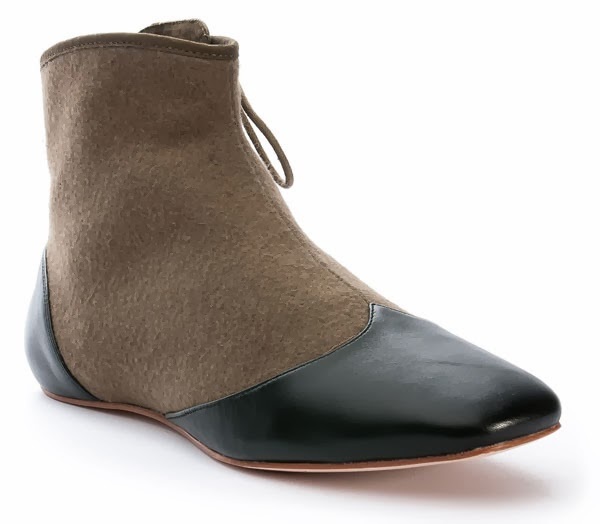 With wool uppers and leather "foxing" on the heels and square toes, these shoes would have been worn with daywear, out promenading, traveling, or visiting. Footwear in this period was notably plain, as large, floor-length skirts hid women's feet beneath layers of crinolines and later cage crinolines. The square toes and flat soles stayed relatively unchanged for an unusually long time, until shorter-length walking skirts in the 1860s and 70s literally brought footwear back into the public eye, and shoes became more flamboyant again. 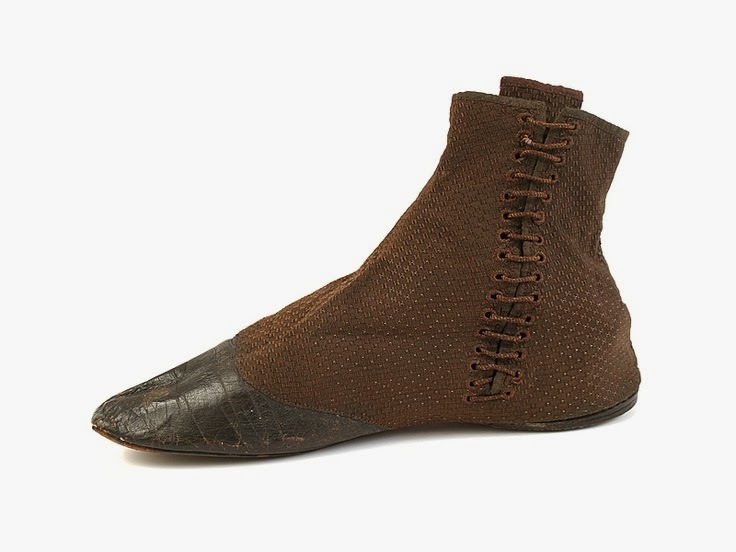 An original side-lace gaiter boot from Shoe-Icons, 1830-40. The Met, 1840s - brown uppers with black or dark brown foxing seemed to be very popular, which helped us decide on colors for Gettysburg. Our Gettysburg boots faithfully recreate this comfortable and practical style, with accurate materials, closure, and toe shape. The earliest date Gettysburg could possibly be worn for is 1822; The latest date I have evidence of is 1860, though it is likely that women continued to wear them through the Civil War period, especially those of lower classes, women cut off from fashionable merchandise by the War, and women on the frontier. 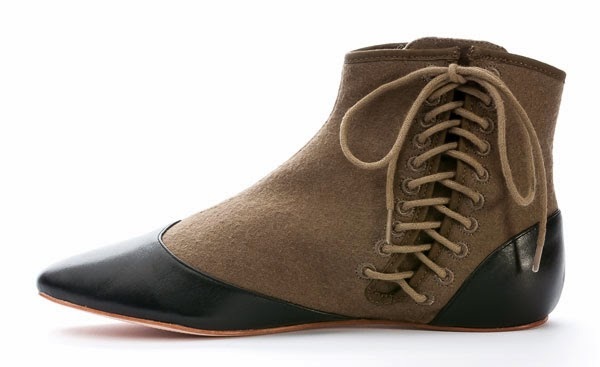 Gettysburgs do not have toe boxes. This is historically correct and produces the low flat shape of the toe associated with this period. I recommend ordering a half-size larger if you need more space in the toes, or plan to use orthotics or inserts.